This is 'Road Rage' MkII. The original album (reviewed here) was canned – pulled from release...scrapped... never to see the light of day. 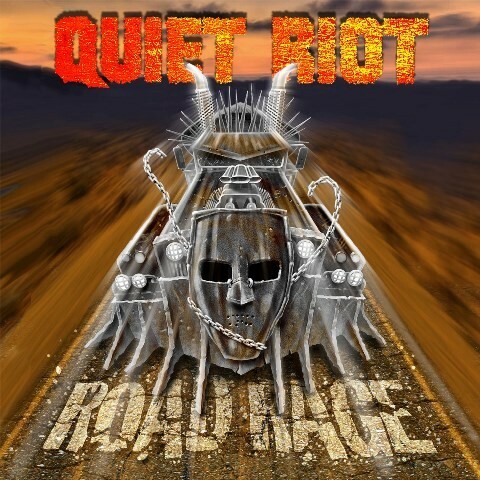 Quiet Riot's singer, Seann Nicols, who had recorded the album, was fired by drummer Frankie Banali after just five gigs and Banali, in agreement with the record label, had elected to re-record this album with 'American Idol' finalist James Durbin's vocals. With the critics having universally panned the original album, what have the Quiet Riot boys done with it? We get three new and eight re-worked songs. In order from the original release, 'Nothing But Trouble' becomes 'Freak Flag', 'Let It Go' becomes 'Roll This Joint', 'Snake Charmer' becomes 'Getaway', 'Hey Lil' Sister' becomes 'Knock 'Em Down', 'I Don't Need You Anymore' becomes 'The Road', 'Sledge Hammer' becomes 'Wasted', 'Never You Mind' becomes 'Still Wild' and 'Empty Rooms' becomes 'Shame'. Banali and co-writer Neil Citron had kept the music but handed Durbin the task of adding new melody vocal lines and lyrics to their (and guitarist Alex Grossi's and bassist Chuck Wright's) music. 'Dirty Money', which was a decent enough song in my opinion, has gone as is the only official release by Frontiers – the rather pedestrian 'The Seeker' – before it too was pulled from all media platforms. Interestingly, the title track 'Road Rage' wasn't re-recorded by Banali, but Nicols – who has admitted he wasn't happy with the original mix of the album – has released his own version of the '...Rage' song despite a DMCA complaint issued by Banali and Citron which was quashed by Nicols' lawyers. It ferociously stomps all over the Quiet Riot version thus proving what could have been done if Nicols had been given more leeway with the songs. 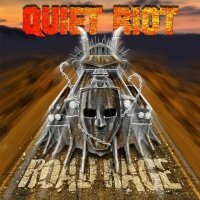 The twenty-eight year old Durbin is certainly offering Quiet Riot a fresh and energetic approach, and the three new songs with him as a central writing figure sound entirely brighter and more organic than the re-works. The lead off song 'Can't Get Enough' (check out the music video filmed by Banali's wife Regina) is an up-tempo, raucous Rocker, 'Make A Way' with its harmonica has a cool vibe – the Japanese get an additional bonus acoustic version – and 'Renegades' is a great brooding number with a charismatic chorus. Whatever the rights and wrongs of this messy chapter, Durbin is the real deal, and Nicols gets to release his own, probably superior, versions.